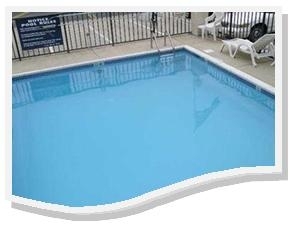 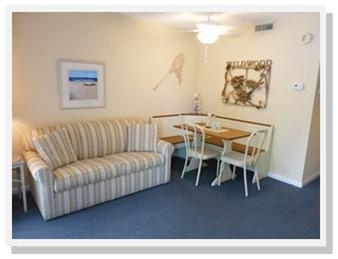 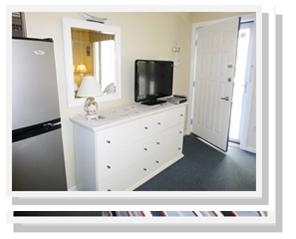 OUTRIGGER CONDOMINIUM RENTALS IN NORTH WILDWOOD - 513 East 17th Avenue #104 - One bedroom, one bath vacation home located beach/boardwalk block in North Wildwood. 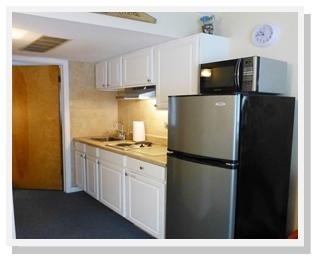 Kitchen has fridge, stovetop, microwave, coffeemaker, blender and toaster. 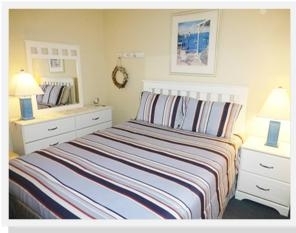 Sleeps 5; 1queen, one twin, and sleep sofa. 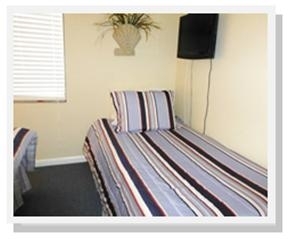 Amenities include pool, outside shower, grill, balcony, central a/c, and coin op washer/dryer. 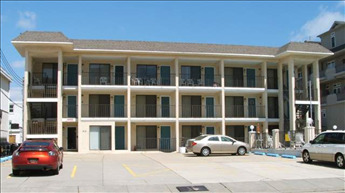 Off street parking for 1 car.